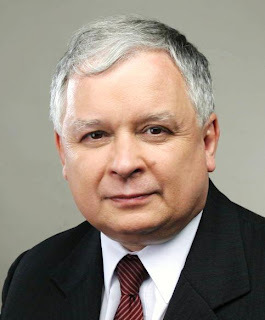 The president of Poland, Lech Kaczynski, was killed, along with his wife and numerous Polish officials, when their aircraft, a Polish Air Force Tupolev 154M, crashed near Smolensk, Russia. 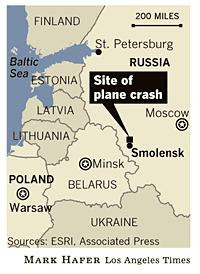 The flight, took off from Warsaw with 88 passengers and eight crew members when it crashed at around 10:50 a.m. local time on the outskirts of the town of Pechorsk, during its approach to Smolensk air base. All on board were killed. This official delegation, included the president, his wife, former president in exile Ryszard Kaczorowski, the head of the national security bureau, the head of the Polish Olympic committee, the president of the national bank, the chief of staff of the armed forces, several members of parliament, and numerous other government officials. This group had been traveling to Katyn, Russia to commemorate the anniversary of a World War II massacre of about 21,000 Polish prisoners of war by the Soviet Union. After the crash, Bronisław Komorowski assumed the duties of president. 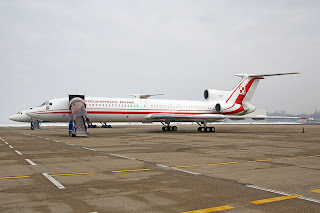 The Tupolev 154 was designed in the former Soviet Union in the 1960s, and saw wide service in the Soviet Union, eastern Europe, and countries with close ties to the former Soviet Union. There have been about 1000 produced, and about 250 remain in service, and the aircraft is still in limited production. This is the 22nd fatal crash involving the Tupolev 154 since 1990, with 20 of them involving civilian airliners. The most recent fatal crash was a Caspian Airlines crash in July 2009 in Iran. Poland - 1943: Prime Minister Władysław Sikorski was killed on 13 April 1943 nine other passengers and members in the crash of a Liberator bomber shortly after takeoff from Gibralter. The pilot was the only survivor. Sikorski was the head of the Polish government in exile from 1939 until his death. Philippines - 1957: President Ramon Magsaysay was killed on 17 March 1957 in the crash of a Philippines Air Force C47 aircraft near Cebu, Philippines. The aircraft was on a domestic flight from Cebu to Manila when the right engine malfunctioned during climb. The aircraft crashed into a mountain, killing all five crew members and 20 of the 21 passengers. United Nations - 1961: Secretary General Dag Hammarskjöld was killed on 18 September 1961 along with 10 other passengers and five crew members in the crash of a DC6 near Ndola, Zambia. Iraq - 1966: President Abdul Salam Arif was killed on 13 April 1966 in the crash of either an aircraft or a helicopter in southern Iraq. Bolivia 1969: President René Barrientos was killed on 27 April 1969 when his helicopter crashed into power lines while it was flying between the towns of Tocopaya and Arque, Bolivia. Mauritania - 1979: Prime Minister Ahmed Ould Bouceif was killed on 27 May 1999 along with 11 other occupants when their de Havilland Buffalo aircraft crashed into the Atlantic Ocean near Dakar, Senegal. Bouceif was traveling from Nouakchott, Mauritania to Dakar to attend an international conference. At the time of the crash, the Dakar airport was closed due to a dust storm. Ecuador - 1981: President Jaime Roldós Aguilera was killed on 24 May 1981 along with his wife, the defense minister, and seven others in the crash of a Ecuadorean Air Force Avro aircraft while on a domestic flight between Quito and Zapotillo. Panama - 1981: Panamanian leader Omar Torrijoswas killed on 31 July 1981 along with five others in the crash of a Panamanian Air Force Twin Otter while on a domestic flight between the towns of Pemonome and Coclesito. Mozambique - 1986 - President Samora Machel was killed on 18 October 1986, along with 34 others, were killed when his Tupolev 134 aircraft crashed near Mbuzini, South Africa, in an area less than 200 meters from the Mozambican border and just north of Swaziland. The aircraft had been on a flight from Mbala, Zambia to Maputo, Mozambique, and had a controlled flight into terrain while the aircraft was descending to Maputo. The crash occurred at night shortly before moonrise. The crew was also confused about the status of the navigational and landing aids at Maputo. Eight of the nine crew members were killed, as were 27 of the 35 passengers. Pakistan - 1988: President Zia-ul-Haq was killed on 17 August 1988 along with 31 others, were killed when his C130 aircraft crashed just after taking off from Bahawalpur, Pakistan. Rwanda and Burundi - 1994: President Juvenal Habyarimana of Rwanda and President Cyprien Ntarymira of Burundi were both killed on 6 April 1994 when their plane was reportedly shot down by two surface to air missiles as their Falcon 50 approached the Kigali, Rwanda airport. Three crew members and seven other passengers were also killed. 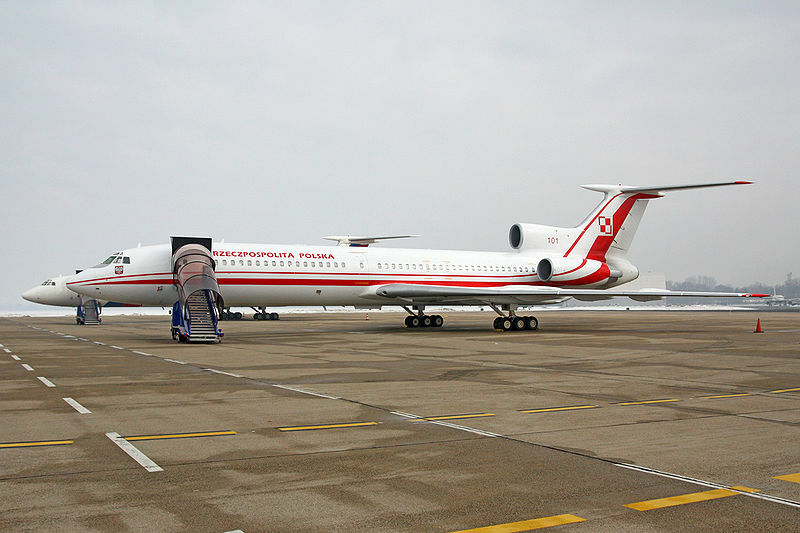 Former Yugoslav Republic of Macedonia - 2004: President Boris Trajkovski was killed when his King Air crashed near Rotmilja, Bosnia and Herzegovina. There were two crew members and six other passengers on board. This is horrible. My heart goes out to Poland and the family members of all those on board the aircraft. I read elsewhere that the accident happened on the fourth attempt to land. That strikes me as rather too many attempts. The Tupolev-154 is an aircraft from the 1960s like a Boeing 747 such as Airforce One. The 737 also is from this period. Aircraft today do not become obsolete as quickly as cars or computers. The newest aircraft in the world today (flying) were designed in the 1980s. It takes years to get a plane from the conceptual stage into service. I am amazed that so many important officials were allowed to fly on one plane. Hasn't this lesson been learned years ago - keep your most important officials on different flights.? military pilots often will take risk.that's the problem. May Allah bless them all!